Almost done! 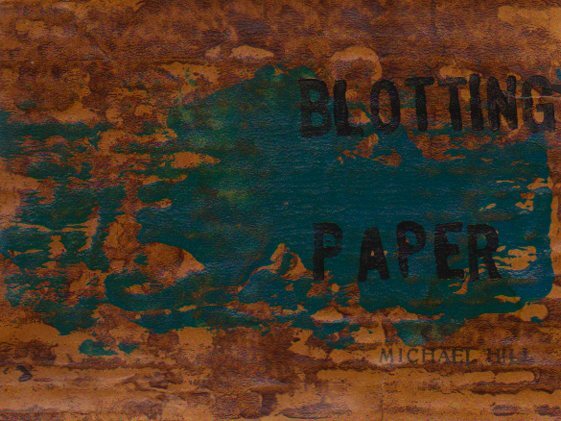 Completion of the art and text on pages of the fourth issue of my artist book/comic Blotting Paper: The Recollected Graphical Impressions Of Doctor Comics has nearly reached the finishing line. After that all that will remain is the publishing production process of those pages. This includes the sequential stages of the pages being printed, collated, trimmed, covered and bound. Similar to the preceding three issues the present one has a total of 40 pages plus endpapers and covers. For this issue these covers will feature a wraparound print that includes the title. 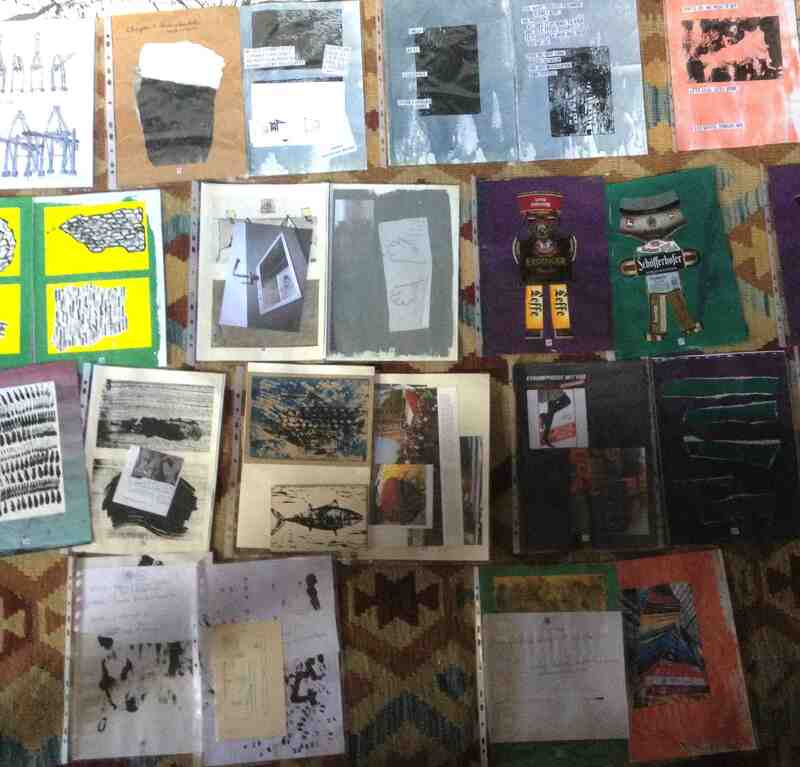 And being an artist book there will be a limited number of books published, in this case 30. Each book in this first edition will be numbered and signed by the artist. With some spot colour still to be added plus a few paragraphs of handwriting, a bit of toning touch-up here and there and a little overprinting that might get overlaid I have spread out the pages in a probable sequence on the floor of the studio to get some sense of how the story flows and whether the juxtaposition of the page-spreads works throughout the issue. So there may still be some alterations to the sequencing in the final edit. I try to see a sense of rhythm in the overall progression of pages. 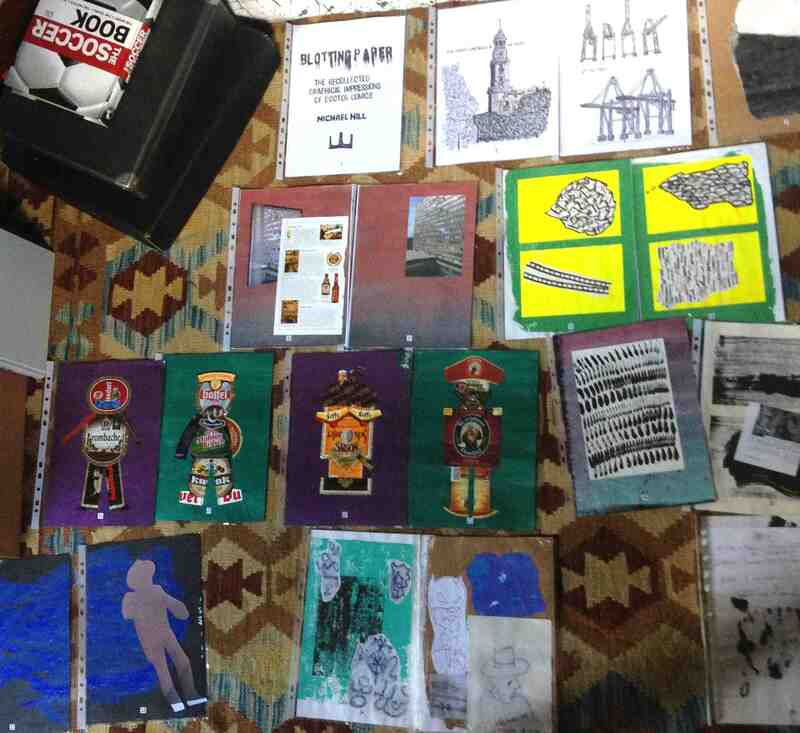 This entry was posted in Art, Blotting Paper, Cats in Comics, Comics, Germania, Japanning and tagged alias, artist book, collage, comics, drawing, handwriting, image-making, visual communication, visual diary, words and images by Doctor Comics. Bookmark the permalink. It’s fascinating to see the pages laid out almost like a collage or puzzle, before it all comes together. Can’t wait to see it printed and bound! Thank you Megumi and apologies for the delay in responding. I actually thought I had done that but now discovered I hadn’t. Yes, the view of the pages spread across the floor from a standing position on the tabletop is very collage-like as you suggest. It doesn’t take in the notion of page-turning and the consequence when reading that you can only see two pages at a time but it does provide an overall feel of the visual content and flow. Anyway, now that you have seen the printed and bound version, how does it seem in hindsight?